Low-carb, dairy-free, keto-friendly fat bomb chocolates. 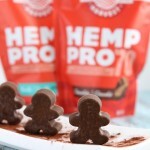 Made with Manitoba Harvest Chocolate Hemp Protein, each Fat Bomb Man has 11 grams of fat and only 1 net carb. To toast the coconut, preheat oven to 325F and spread the coconut on a small baking sheet. Roast in the oven for 5-8 minutes, rotating if desired – watch that it doesn’t burn! 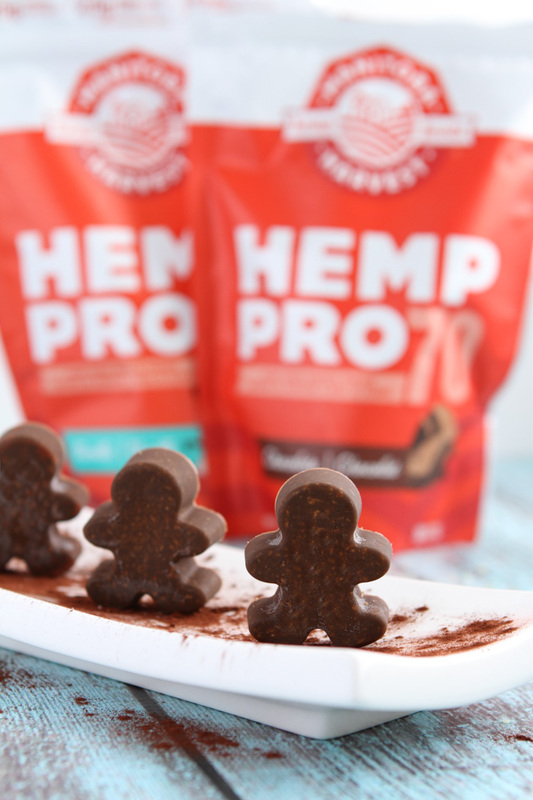 Add Manitoba Harvest Chocolate Hemp Pro 70 Protein Powder to a small bowl. Add in remaining ingredients – melted coconut oil, vanilla extract, liquid stevia, Himalayan rock salt and the toasted coconut. Stir the mixture. Divide into a silicone candy mold of your choice. Chill in the fridge for 1 hour.